Apple plans to spend hundreds of millions of dollars on its upcoming Arcade game subscription service, with its total budget likely exceeding $500 million, according to a report in the Financial Times. That’s in contrast to the more than $1 billion Apple is reportedly spending on its upcoming television and news subscription services. The money is going toward securing new games for the service, which launches sometime this fall in 150 countries. A single subscription will let someone access more than 100 new and exclusive titles. They can download and play as many as they want across multiple Apple devices, either online or offline. 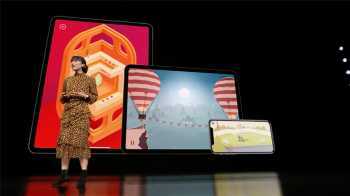 While most of the focus right now is on Apple’s TV and news services, the substantial amount of money Apple is giving to developers shows how serious it is about making video games a new source of subscription revenues, the Financial Times said. “It also reflects the increasing competition in Silicon Valley for exclusive rights to the best content, as the iPhone maker bids against other new games platforms from Google and Tencent, as well as the console makers Nintendo, Sony and Microsoft,” it said. Apple is also reportedly offering developers extra incentives if they agree to make their games temporarily exclusive to Arcade. After a few months, they’re free to launch the titles on PC or consoles. Epic Games is currently employing a similar tactic with its new digital storefront, scoring a number of high-profile timed PC exclusives like “Borderlands 3,” “The Division 2,” and “Metro Exodus.” The Epic Games Store, which offers 88% of sales revenue to developers, is quickly becoming a major competitor to Steam, arguably PC gaming’s biggest digital games distribution platform. Some analysts are predicting that video game subscriptions could become a multi-billion dollar business for Apple within the next few years, the Financial Times said, but it’s going to have to make some hefty upfront investments without knowing if Arcade will be successful.